This computer science undergraduate was surprised by not one, but two awards for building systems crucial to running the lab’s magnets. Tim Cross has been named 2019-2020 Lawton Distinguished Professor by his peers. Find out what's going on at the MagLab by reading the latest news and features, catching a quick video, or viewing our calendar. Lab veteran Tim Cross has been named 2019-2020 Lawton Distinguished Professor by his peers. Findings clarify the role of sodium increase early in migraines and point to the region where symptoms may start. 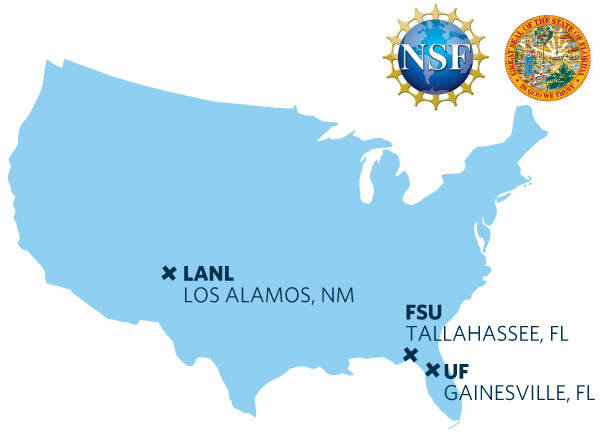 State-of-the-art instrument will be used in materials and next-generation magnet research. In findings that could shed light on current climate changes, researchers find conclusive evidence linking rising sea levels and lowering oxygen levels to decimation of marine species. Lab to serve up heaping portions of science at food-themed Open House on Feb. 23. Promising technique could be used to turn light into electricity and electricity into light.